NOTE: You should download and install the S-Docs package into a SANDBOX or DEVELOPER organization. We strongly advise against installing into any production org without proper testing. To get started, you will need to click on the “Get It Now” button from the Salesforce App Exchange listing and agree to the terms and conditions. Next, you will be prompted to log into Salesforce org. You'll then see the following screen. Make sure to select "Install for All Users" and then click "Install". S-Docs is now installed in your org. NOTE: You will need to configure and activate at least one template in order to start using S-Docs. 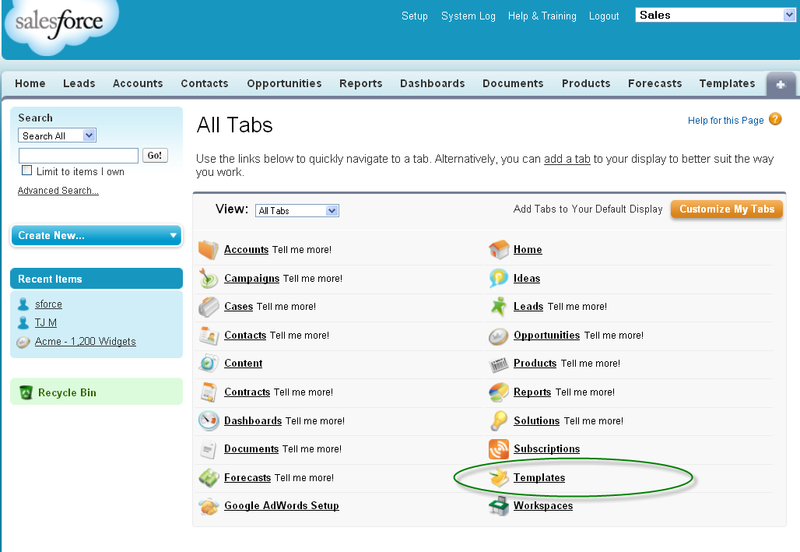 You can access the “Templates” object by clicking on the last tab (All Tabs). Next, click on the “New” button and enter the template field values as shown below. 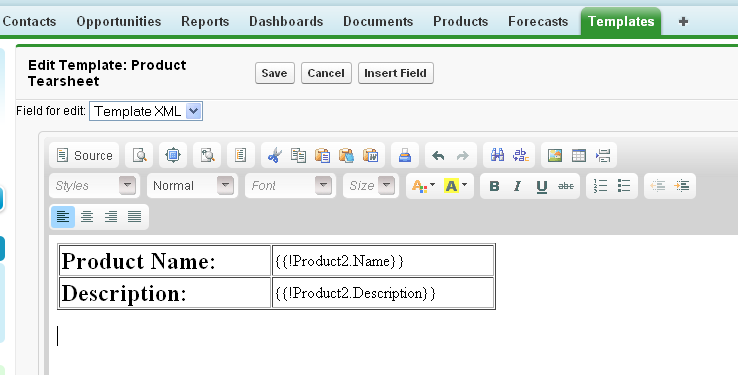 In this example, we will create a product information sheet from the Product object. Name: Enter a template Name. This is required. Description: End users will also see this field in the template listings. Optionally, you can include any keywords, as this field along with the Name field are both searched during the document selection step. Document Category: Chose a category from the picklist. 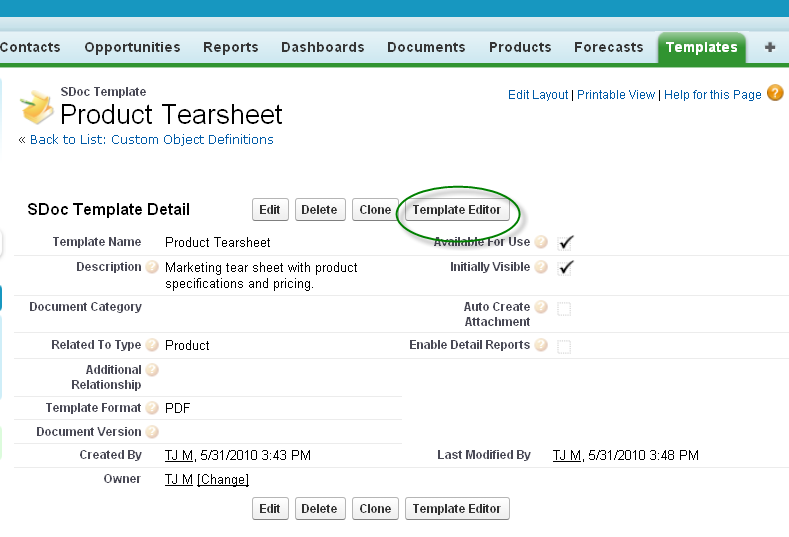 Templates can be grouped together so that a user can browse templates by using a category picklist. If needed, you can later customize this picklist. Related to Type: You must pick an object from the picklist. This is the base or primary object this template will use. If needed, you can customize this list with your custom objects. Additional Relationships: You can leave this field blank for now. But this field makes S-Docs attempt to associate document generated using this template with a second object (parent). For example, you can relate documents created from an Opportunity (the base object) to also appear in the related list for an Account (additional Relationship). Output Format: Pick an output format . To support the same document in multiple formats, simply clone the template with a different Format field value. Document Version: Use this field to track any internally used version number (or date) for this template. It only used for reference purposes. Available for Use: Check this box. Once checked, this template is visible for new document creation. Initially Visible: Check this box. 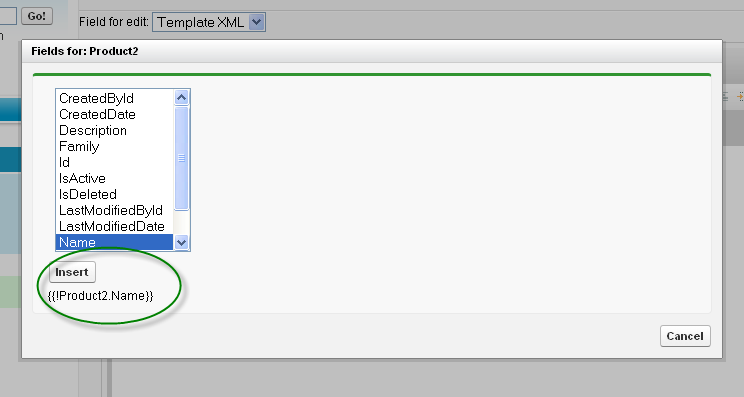 Checking this box will make this template visible on initial load of document creation page based on the Object Type. Typically, you want to set this checkbox for the 10 most used templates for each object type. Auto Create Attachment: You can leave this field blank. By checking, an attachment will be created for each document that uses this template. Enabling this feature will consume more file storage space. Note. On newer versions of S-Docs, the "Auto-create Attachment" checkbox can be found in the "Document Options" tab of the template editor. On older versions, this checkbox will appear on the S-Docs Template record detail page, as in the screenshot below. Enable Detail Reports: You can leave this field blank. 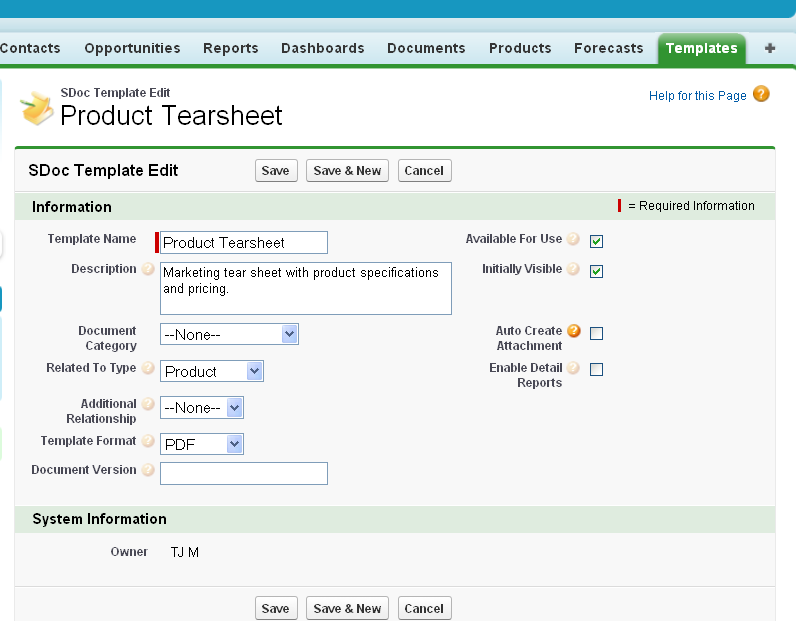 By checking, a child record will be created for each field value on every document created using this template. This will allow for reporting, but will require significantly more data storage. Next, click the “Template Editor” button. This is where you design your template. Add some text, place the cursor where you want your salesforce record data to be merged into the template and then click on the “Insert field” button. 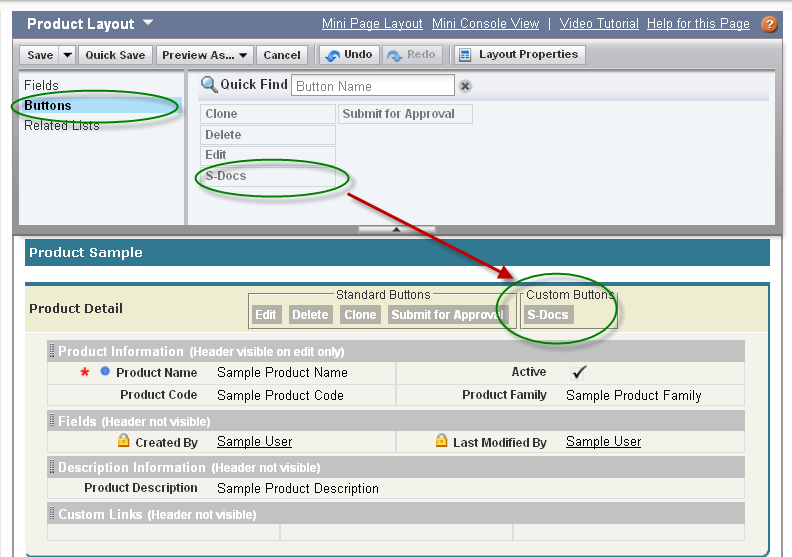 Select the field from the object you want to insert and click “Insert”. 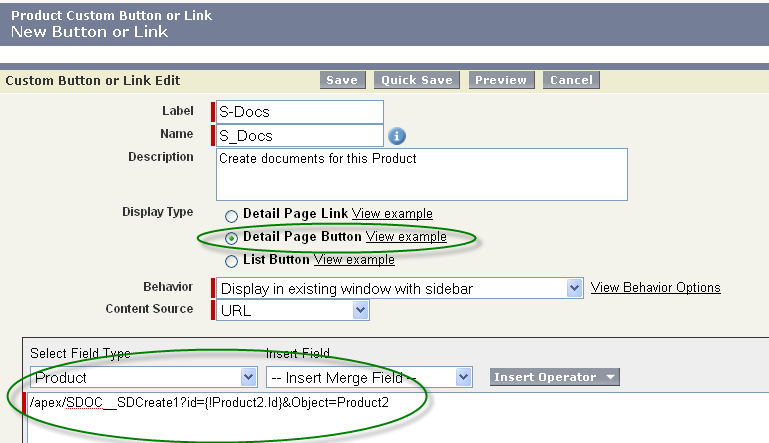 The editor will add the merge field in the correct syntax into the template designer. Repeat the above step for other fields. You can also use the editor tools to modify the document. Or click “Source” to view the html and add your own styles. Click Save when done. NOTE: You can also insert images, span related objects and create child object line items and add css stylesheets, which is covered in the full documentation.You have now created your first template. NOTE: The S-Docs install package contains sample page layouts for both the Opportunity and the Account objects. If you decide to use these, you will not need to create the S-Docs button or related lists in this step. You can simply assign these layouts to your group. Alternatively, you can use these layouts as a reference when modifying your own page layouts. *This guide details setting up your S-Docs button for a standard object in Salesforce Classic. Although the setups are fairly similar, please reference this documentation as well for more information regarding S-Docs in Salesforce Lightning, and please refer to this documentation for more information on setting up S-Docs with a custom object. You will need to add a custom button. 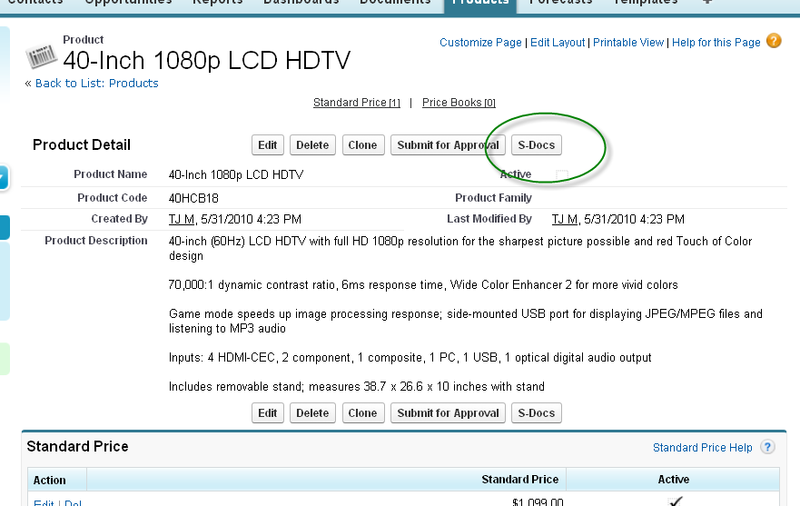 In this example, we would go to Setup>Customize> Products > Buttons and Links. Once you save the button, you will need to add it to the detail page layout by opening the layout editor, dragging the S-Docs button into the Custom Button area and then clicking "Save"
Additionally, you can add an S-Docs related list to your page by clicking “Related Lists” and dragging the S-Docs box down in to the related lists table. The S-Docs related list on a given record should display all of the S-Docs ever generated* for that record, as well as options to download and email those documents again. In order to display this, we need to add these columns to our related list. Click the wrench icon on the S-Docs related list. Then, add the following categories: Action, View, Email, Edit, Name, Category, Status, Comments, Doc Created By, Doc Created On. To add a category, click on the category you wish to add and then click the button below “Add”. The field will be moved to the “Selected Fields” box, which contains all the fields that will display as columns in your final related list. Click “OK” once you’ve added all of your fields.The related list will appear as follows on a particular record’s page. *Note that each time you edit an S-Doc template record with “Auto Create Attachment” unchecked, the documents on the related list will change to reflect those edits. The related list will not store documents generated from previous versions of your templates, but rather generate a new document reflecting the most recent version of your template each time you view or email a document in this list. Now you open any record for that object and click on the “S-Docs” button we’ve just created. Our template should appear. (If not, make sure you’ve checked the “Available for Use” and the “Initially Visible” checkboxes when you created your template). Select the template and click “Next Step”. Since this is a very simple template you will not need to confirm any additional information and can just click on the “Generate Document” button on the following page. Finally, click the “Email Selected Docs” button if you want to email the document. Enter the recipient email address, complete the email message and click send. If you did not receive an email, or if you experience any failed email delivery, it may be due to the S-Docs package not being able to create a dummy contact record used for email delivery. 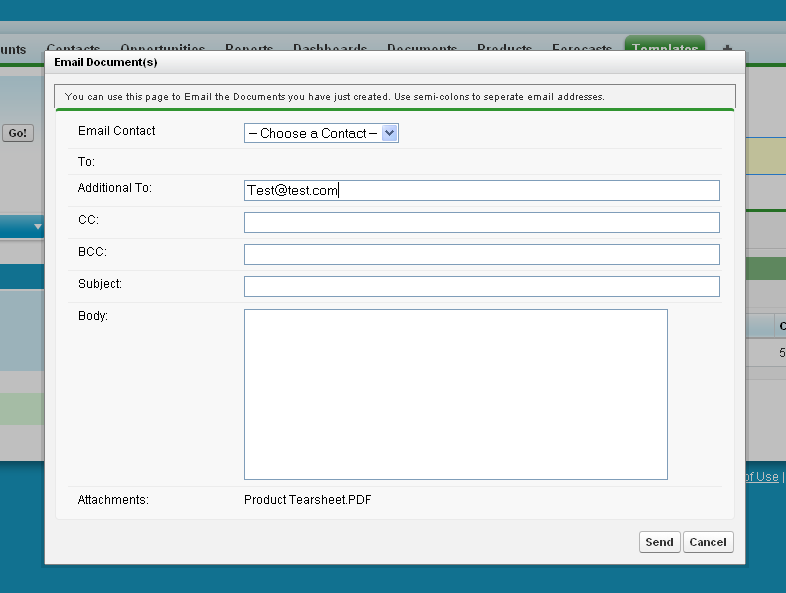 By default, S-Docs will link outbound emails to the contact record with a matching email address. Salesforce requires this linkage. If you send an email to an unknown email address, S-Docs will attempt to link it to a single dummy contact record called "No Contact". This contact record is created just once by the S-Docs package to handle this linkage and is done automatically during the first send request to an unknown email address. 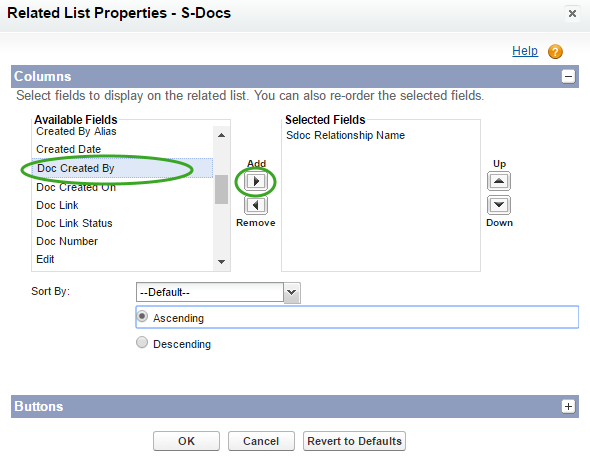 However, if your org has implemented validation rules that require additional fields to be completed, then the S-Docs package will not be able to create this contact record, and you should do it manually. The contact record should named "No Contact Record" and must have an email address of "this.email@is.invalid". This record only needs to be created once. If you are testing S-Docs in a sandbox org and emails are not being delivered, you should check settings> Email Administration > Deliverability, and check that "Access to Send Email" is set to "All email". By default, salesforce turns off outbound email access when a sandbox is created to reduce the risk of inadvertently sending emails to contacts during development and testing. Be aware that this change effects the entire sandbox and not just S-Docs.